Many watch cases suffer from years of dings, dents and scratches. 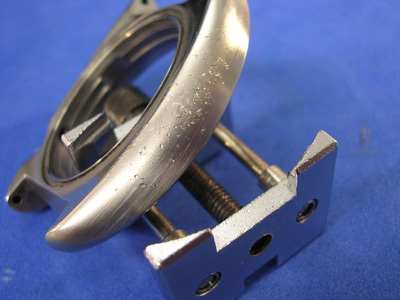 We can remove many imperfections from your stainless steel or solid gold watch case. Your case will then have the original finish reapplied. We offer high polished, brushed or satin finishes, as well as bead blasted finishes. We also have services available to repair broken lugs, replate cases in gold, rhodium and nickel. Additionally, we can have your watch case PVD/DLC coated.